Rules of the Jungle: Why do eagles roll their eggs? The sun is important for the eagle’s eggs. 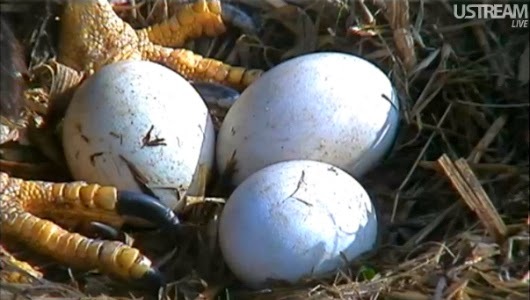 The eagle rolls the eggs around the nest, so all its portions will be bathed by the sun. The eagle is found of its nest and hunting areas, so it will be around the nest at any time. Sometimes, the eagle rolls the egg just to see if it is not damaged on the other side. There are controversies about the reason for which the eagles roll their eggs, and some specialists say that they are only doing this for fun.